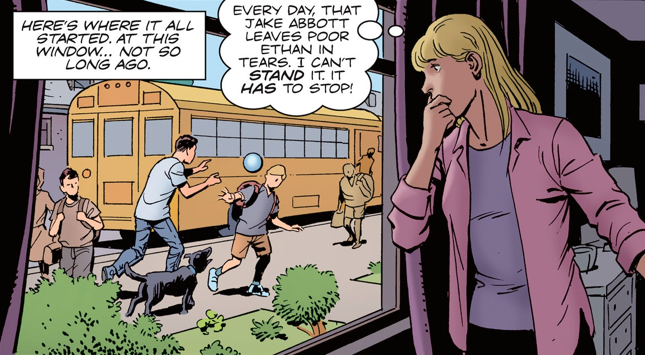 The bestselling author of Gone Girl, Gillian Flynn, is taking a stab at comics. Exciting, yes, but don’t worry; it doesn’t appear to be a permanent career change. Recap: What do you do when you find love and want to keep the person you love in your life forever? You get married, right? You commit. But for Elizabeth Gilbert, the author of the bestselling memoir Eat, Pray, Love, marriage and commitment are not one in the same. As told in the memoir Eat, Pray, Love, Gilbert goes on an international trip to find herself and make sense of her recent and very messy divorce. Gilbert never expects to fall in love with a man that she meets in Bali, but she does. Felipe is also divorced, and the two mutually decide to never marry again, but agree to stay committed to each other and be together for the long haul. Gilbert writes in Committed that this is all fine and dandy, until Felipe faces deportation from the United States. After months and months of renewing visas and living with Gilbert in America, Felipe is finally stopped by security at an airport and is told he cannot enter the States unless he becomes a U.S. citizen. The easiest way to do that, of course, is to marry Gilbert. But Felipe and Elizabeth had already decided they would never get married. Committed takes us through Elizabeth’s decision to ultimately marry the love of her life — not out of desire, but out of necessity. Analysis: Committed begins in typical memoir-like fashion — the beginning of a story, mixed with a little background. But soon, the book transitions into a study of the history of Western marriage. Almost immediately, it becomes obvious to Elizabeth that if she wants to spend the rest of her life with Felipe, she has no choice but to marry him. But in order to come to terms with it, she commits herself to something else — understanding marriage. Gilbert spends much of Committed explaining different marriage customs around the world, giving statistics about how marriage affects women versus how it affects men, and speaking with other women about what marriage means to them. Committed wasn’t the book I expected it to be, but that doesn’t mean it was bad. As someone who has read Eat, Pray, Love, I expected more story, more memoir, and less…well, research. At times, I was bored and wanted her to get back to the story of her and Felipe. But she always came back around to their story, and ultimately, the research that she does is fascinating. Gilbert’s story may not be the most impressive one I’ve ever read, but it is interesting and makes you think about marriage in a different way. I highly recommend Committed for any woman who is married or thinking about getting married. Get Committed: A Love Story in paperback for $12.03. Or on your Kindle for $10.99. Author Kazuo Ishiguro is best known for his 2005 dystopian novel Never Let Me Go, which became a movie starring Carey Mulligan in 2010. But he hasn’t written a novel since then….until now. 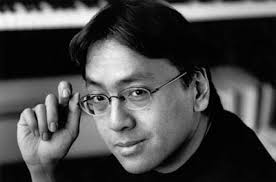 Since 2005, the only other work Ishiguro has published was a 2009 collection of novellas, called Nocturnes. How fitting that the week I post a review of the bestselling nonfiction novel Unbroken, there’s new about the book! 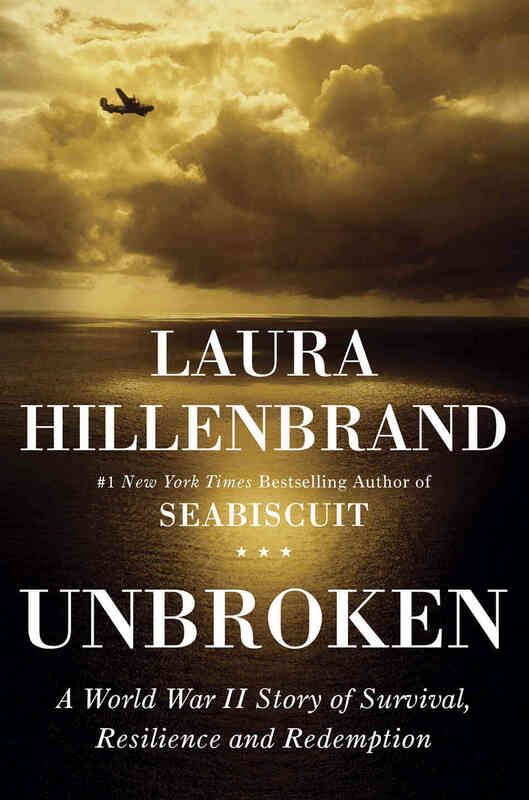 According to Entertainment Weekly, Unbroken‘s bestselling author Laura Hillenbrand has written a young adult version of the book. This adds to the publicity Hillenbrand and Unbroken are already receiving this year, thanks to the Angelina Jolie-directed, Coen brothers-written film version, set to be released on Christmas Day 2014. The YA nonfiction novel is due to be released on Veterans Day, November 11, 2014. Recap: Louis Zamperini has always and only wanted to do two things — cause a bit of mischief and run. After getting over a childhood bout of mischief, he stuck with running, and by 1936, he ran in his first Olympics, coming in 12th place in the world. That’s nothing to sneeze at, but Zamperini knew he could do better, so he set his sights on the 1940 Olympics. But those Olympic Games never came. World War II came instead, and suddenly the world-famous runner Louis Zamperini was thrust into serving his country. 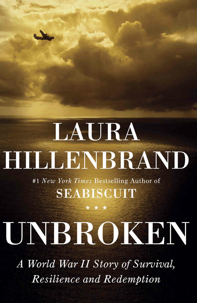 The story of Louie Zamperini is a true one, and Laura Hillenbrand’s book Unbroken, a compelling work of nonfiction. Unbroken tells the story of the runner turned Air Force aviator whose bomber crashed in the ocean and forced Zamperini to live on open water for 47 days, only to be captured by the enemy and live in several POW camps across Japan. But none of this could break Louie, who not only survived, but is still living a long and happy life to this day. Analysis: Unbroken is such a breathtakingly incredible story, it’s hard to believe it really happened. Author Laura Hillenbrand tells the story of Louis Zamperini’s life and the war with such great detail, it feels like we’re there. Never had I fully understood how WWII affected that generation, how it created such American disdain for the Japanese as well as the Germans, until reading this book. Yes, I know that sounds silly, but it’s true. Hillenbrand takes you there with a certain matter-of-factness in her tone. The book, told from the point of view of Louie, doesn’t express a lot of personal emotion, but the facts and information alone and the bits and pieces of letters and journal entries included in the book help the reader understand what everyone was feeling without them expressing it bluntly themselves. Hillenbrand also informs the reader about Louie’s family members and friends, the people back home in America, and how they were coping with all that was going on. The book doesn’t end with a heroic climax in which Zamperini arrives back home and all is right in the world. Instead, it keeps going, detailing Zamperini’s quest to become a runner again and his post-war alcohol abuse. We even learn what happened to “the Monster,” the man in one of the POW camps who consistently tortured Zamperini. Unbroken is real, horrifying, graphic, and inspiring. Louis Zamperini’s story isn’t that unique. Millions fought, got hurt, captured, killed, or came home in WWII. But Louis Zamperini’s story, told in this way, forces us to realize how much pain and suffering each of those men and women dealt with and makes us thankful for all they did. MVP: Do I even have to say it? Louie Zamperini, of course. The pain and tragedy he dealt with are unbearable to even think about it, let alone face head on. But he did. And the best part? He made it out okay. Get Unbroken: A World War II Story of Survival, Resilience, and Redemption in paperback for $15.20. When offered an opportunity to do something fun and exciting, it’s hard to imagine what the consequences may be. That’s what got Piper Kerman caught up in an international drug cartel. Fresh out of college, unsure of what she wanted, and ready for an adventure, Piper starts dating a girl involved in drug trafficking. Suddenly, Piper is traveling the world with her lover and ultimately passes along money for her girlfriend. Aware this is not the life she wants, Piper leaves her girlfriend and the world of the international drug trade to get back to a life of normalcy. But not too long after she arrives back home, Piper learns the drug cartel has unraveled, and she’s one of the many people the feds charge. When Piper finally goes to prison, she’s engaged to Larry, working and living a comfortable life in New York City. Piper’s is a story many of us are now familiar with, thanks to the Netflix series Orange Is The New Black, which shows Piper’s experience behind bars, as well as the backstories of the other women in prison with her. The show is based on Piper’s memoir of the same name, but after having read the memoir, I realized how much the series dramatized Piper’s life. First off, the show glosses over the fact that Piper was in and out of court for 11 years, while anxiously awaiting her sentence, not knowing how much time she’d have to serve or where she’d be serving it. In some respects, those 11 years of uncertainty are just as sufferable as her 15 months in prison. In the show, Piper learns within days that the ex-girlfriend druglord who gave her name to police is in prison with her. But in real life, Piper and her ex-girlfriend weren’t in federal prison together at all. Piper doesn’t see her ex until she’s already been in prison for a year and is then transferred to another jail, waiting to testify in a trial. When they meet, they make amends somewhat, but the romance has long since fizzled out and that spark is never fired back up again. Of course the Netflix series would spice things up, but it’s quite far from the truth of what really happened to Piper in prison. However the anecdotes are the same — Piper’s insistence on running outside, the inmate who’s in love with Piper, the woman who pees on the floor, women having relationships with correctional officers and each other, the missing screwdriver, the going away parties, the yoga instructor, Red. And Larry did write a piece about Piper in The New York Times, but it didn’t mention her being in jail; it just talked about why it took him seven years to propose to her. The memoir also included anecdotes that I imagined and hoped would play out onscreen in the upcoming season of the show. Having watched the Netflix series first, the memoir made me feel somewhat better about Piper’s life. I was happy to know she didn’t get involved with her ex again and that her fellow inmates weren’t actually homicidal maniacs. But that doesn’t make her experience any less awful. 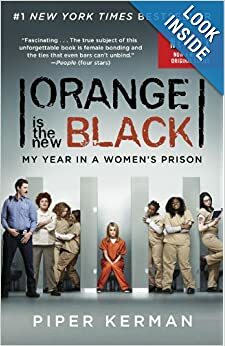 Orange Is The New Black remains a story about life in federal prison, and as much as I enjoyed both the memoir and the series, I would never enjoy spending a year behind bars like Piper did. Get Orange Is the New Black in paperback for $8.97. Or on your Kindle for $5.99.